It has been said that there are two kinds of people in the world: those who are Shamrocks, and those who want to be. 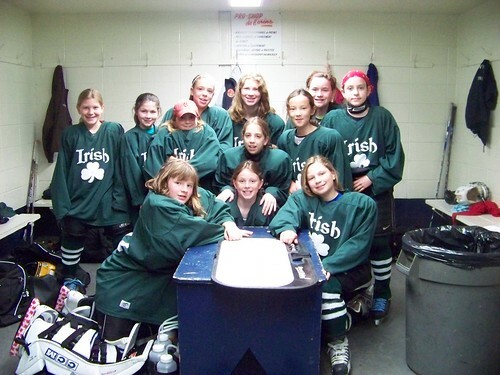 And after a summer of playing hockey on the Shamrock 10 year old all-girl’s hockey team Ellinore is inclined to agree. 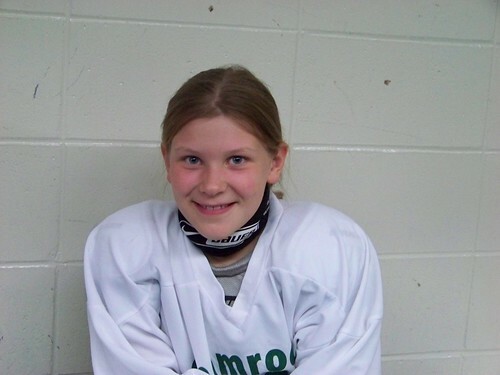 Our hockey girl was recommended for the team by one of her coaches, Elisabeth McClarney. And so we drove up to Burlington three times in a two week period to work out with the other members of the team. (It all sounds sensible until I mention that Burlington is 2.5 hours North.) Happily, one of Ellinore’s teammates, Sarah Laporte, joined us, and we had a nice time with Sarah and her dad Kraig. (Kraig, a state trooper, is the person with whom I have been coaching for the past two years.) Then it was up to Quebec City for a three day tournament. The girls played well—especially for not having played much together. They were competitive in every game, tying last game on Sunday but not making it to the crossover games on Monday. We spend a morning in the old city, too, counting our lucky all star for bringing us north. On a drive to yet another hockey game this winter, E looked at me and asked if I had ever had the feeling of doing something and feeling as if there was nothing else you would rather be doing. “You know,” she said, “like when you are out there skating and feels so good and you know you are doing it.” I responded that yes, I had. This hockey girl, needless to say, loves hockey. We are just along for the ride.